Pete Alewine Pools offers additional services to keep your pool and spa efficient and up-to-date. From updating to energy efficient pool equipment and automation to vinyl liner replacement and pool safety covers, our technicians will treat your pool as if it were their own, if not better. Integrating an automated control system is the best way you can save time and money while operating your pool. Imagine being able to warm your pool or spa before you get home, having it ready for you by the time you arrive. Automated control systems give you the latitude to control your pool anywhere, anytime on your smart device – a perk for the pool owner on the go. While there is a greater initial investment to incorporate energy-efficient pool and spa equipment, the rate of return can save you hundreds of dollars on future utility bills. Not only does energy-efficient and environmentally-friendly pool and spa equipment reduce pool operating costs, it also cuts down on energy usage and saves water – benefiting both you and the environment. Pete Alewine Pool & Spa is proud to be the largest vinyl pool builder in the CSRA. 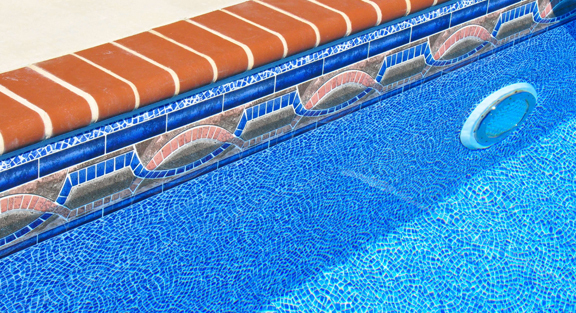 But, not only do we build new pools, we do pool liner replacements as well! Our experienced team will work with you every step of the way. From picking out your pattern to measuring for a perfect fit and taking out of the old liner to installation of your new liner, we keep you informed and up to speed with all we do! It doesn’t matter how old, worn out, overgrown or generally in disrepair that you may think your current setup is, we can help get you back to looking brand new. Interested in having your vinyl liner replaced or just want a little more information? Set up a free consultation today. Pete Alewine Pool & Spa is proud to be the largest builder in the CSRA. But, not only do we build new pools, we also offer pool covers to fit any style in ground swimming pool! Our experienced team will work with you every step of the way. From picking out your style, to measurement and installation, we’re here to make the experience easy and hassle free! 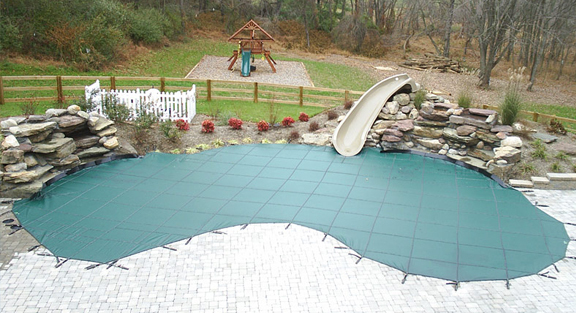 Whether you’re after a cover to keep leaves and debris out of your pool in the fall and winter or want the strongest safety cover in the industry, our selection will serve your purpose. We’re proud to sell Loop-Loc safety covers – the best in the industry! Interested in the pool covers that we have to offer or just want a little more information? Set up a free consultation today.